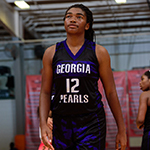 The Georgia Pearls were created in 2002 with the purpose of helping young women develop their basketball skills and fundamentals. Program Director Darlene Beale Norris is not ashamed to say that Christ is at the center of the club, which helps build the foundation of everything else. 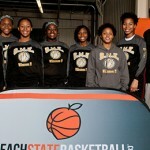 Their program hopes to promote players who will be ready to compete and excel at the collegiate level. 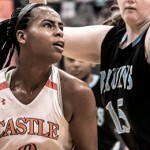 Jada Hargrove: Hargrove is an above average athlete for a point guard. 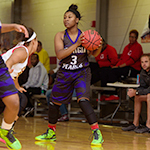 She blends athleticism and ball handling to be an effective player. Her energy and leadership help her produce on both ends of the floor. Zaundra Stevens: Stevens is a defensive specialist that doesn’t let anyone come into her kitchen untouched. She plays physical and cleans up buckets around the basket. 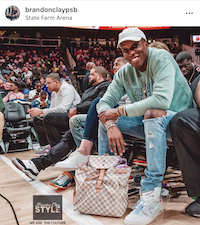 She also showed range on her jumper this summer. Victoria Sutton: Sutton has improved her skill set from four years ago. She is a good athlete that competes on a consistent basis. 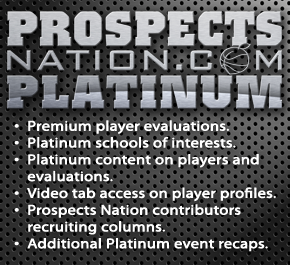 The Pearls also have a number of 2017 players that are ready to lead the program next year. Makenli Forrest of Woodward Academy impressed evaluators at the #PSBSpringShowdown as an active forward who is good on the boards and in transition. 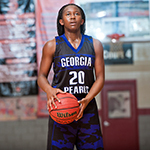 Also keep an eye on Deja Green (Morrow HS), Kaleah Davis (Spalding HS) and Moena Battle (North Clayton HS) as players who make noise for the Pearls. 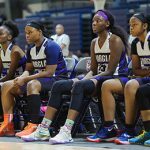 The class of 2018 also have players that are poised for big years at their high schools this year. 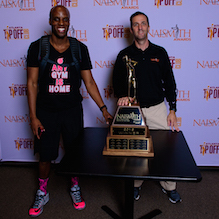 Six-foot post Kelsey Smikes earned attention in past evaluations with her frame and footwork. 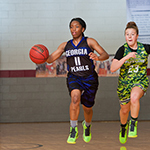 Also guard Tytianna Taylor showed speed and athleticism this year at the #PSBSpringShowdown. 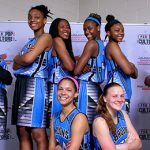 The class of 2019 is poised to be a good one with the likes of Reyonna Hopkins (Eagles Landing HS), Morgan Johnson (Whitewater HS), J’Auana Robinson (Lovejoy HS) and Courtney Smith (Whitewater HS). 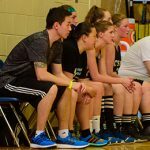 The Pearls experienced a lot of success this year with their younger teams. 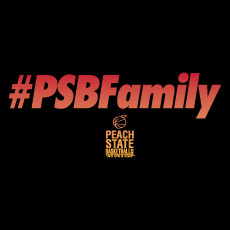 Their 2020 class won championships at several PSB tourneys also at the Miami Suns Invitational. 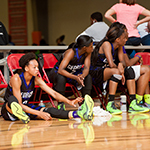 Players like Sania Feagin (Adamson MS), Kristyn Goshay (General Ray Davis MS) and Sade Harrell (General Ray Davis MS). 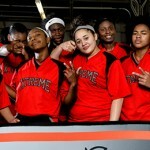 The strength of the Pearls program runs deep into middle school age prospects. 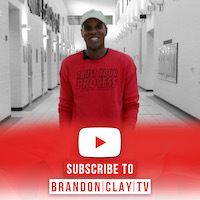 Look for kids like Genesis Bryant (Point South MS), Anaya Boyd (Eddie White MS), Jasmine Jacob (Babb MS), Daja Powell (Flatrock MS) and Christina Walker (Eagles Landing Christian Academy).